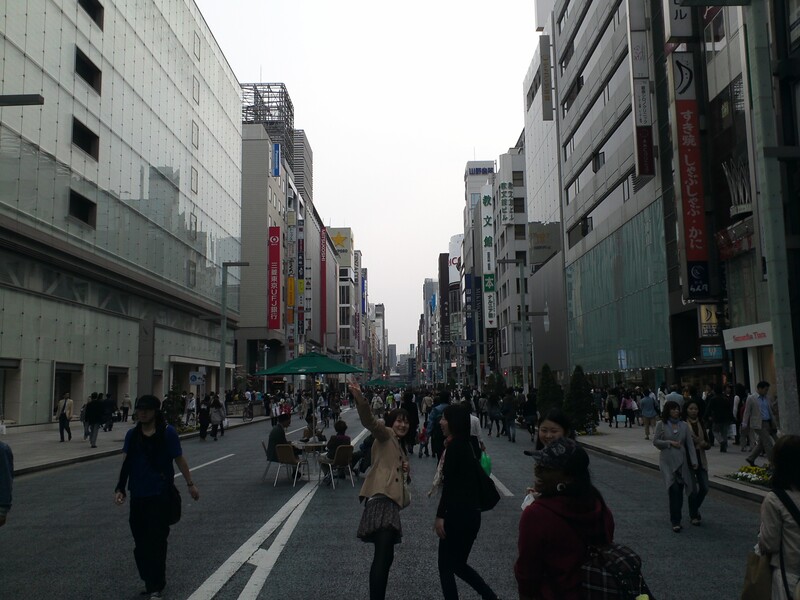 In Ginza, we could walk and sit in the middle of the streets between 8am to 8pm. Expensive stores like Gucci lined the streets. It felt like we crossed into some fairy land with the starting prices was 5000. This entry was posted in Japan (日本) and tagged expensive, Ginza, Japan (日本), street, Tokyo. Bookmark the permalink.